The Georgian era marks the reign of King George I, II, III and IV, who succeeded one another and ruled over England for a major part of 18th century and the first three decades of 19th century. This time period had been significant for a number of positive changes that were brought in the social life of the common people of England. One of the biggest changes that this period brought was in the field of agriculture. 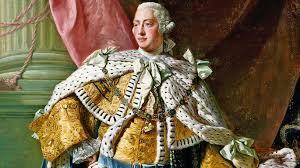 George III was an agricultural enthusiast and believed that the path to progress for a country is carved out of the agricultural practices. There is a lot of literature that he had collected in his library in the form of the latest journals about the current agricultural practices that are going on in the world. Due to his efforts, he even got the nickname ‘Farmer George’ during his reign, a period that marks the second agricultural revolution in England. 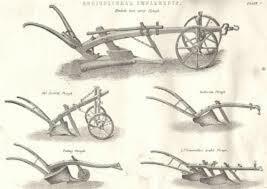 Before the 18th century, agricultural practices in England were traditional. The farmers owned small pieces of land that they cultivated in three cycles during the year. Two of these cycles were dedicated to farming and crop production and during the third cycle, the land was kept uncultivated so that the nutritional value of the soil is restored. While the land was cultivated, it was done in a method that the farmers had been using for many centuries. The seeds were sown by hand, which is the same method that was used to uproot the weed from the farms. Most of the farmers owned livestock, but most of the animals were slaughtered before winter because of the shortage of both cattle food as well as food for the farmers and their families. The production of crops was also highly limited, hardly enough to feed a family for a year. It was because of the limited markets and storage options. As a result, the crops that were produced were consumed by the family of the farmers only. Due to the lack of efficient transportation methods, the produce could not be transported to other placed, which inhibited the establishment of large markets as well. The crops that were being produced were also repetitive, mainly corn and wheat. When the Georgian Era began and King George I took the throne of England, he took a great deal of interest in the agricultural methods that were practiced in the various parts of the world. there were technological advancements that were being made in many neighboring countries of England which were brought into England during the Georgian era. The first major step that was taken during this time was to cultivate the lands during all the three cycles in a year. The Dutch used to grow turnips on their land in the third cycle which helped in restoring the fertility of the soil. The practice was adopted by many farmers because it not only helped them to increase their production but also provided fodder for their livestock. Amendments in the process of land ownership were also made during the Georgian Era. The three pieces of land that each farmer owned were earlier scattered. Now, enclosed farms were made available for farmers. This helped them to manage their crops more efficiently and increase their yield. The Georgian Era also marks a growth in technology that resulted in what is often termed as the second agricultural revolution. 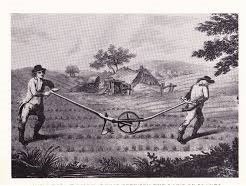 Instead of the wheeled plough, the Dutch had started using the wheel less Rotherham plough that needed only two oxen to pull, instead of the conventional one that needed six. After the technology was brought in England, many innovations were made in it. Within no time, a much lighter and improved version was being developed in rural foundries across the country. The advent of railways was a major development of that time and it revolutionized agriculture as well. With the help of railways, farmers were able to send their crops to other areas without any damage and in a very short period of time. This resulted in the development of national markets and helped the farmers to support their families as well as livestock during the cold winter months. In order to boost agriculture, manures were also being produced and transported to be used by farmers in the different parts of the country. Many new sources of potash had been found, the primary among them was in Chile. Besides, animal bones were also being crushed at an industrial level and sold to farmers nationwide that supplemented their needs for manure, resulting in a better yield. These methods resulted in major growth in the production of food through agriculture in England during the Georgian Era. It helped in the production of varied crops and also resulted in better yield, making the farmers more prosper. Large farmers took over the agriculture in the country as a result f this process and the smaller farmers were available for employment in the factories, which resulted in the industrial revolution that changed the future of England.